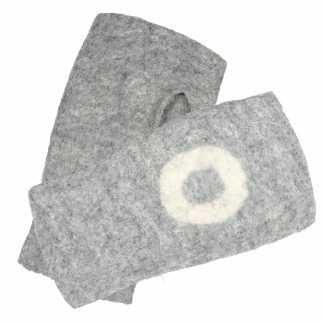 These black and grey felted wrist warmers will keep your hands and wrists warm this winter. 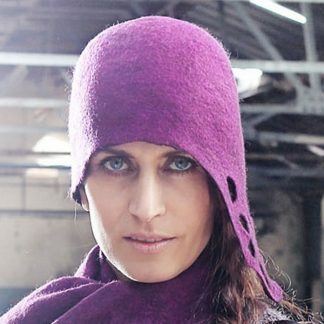 Made from purple superfine merino wool with lace detail. It is finished with a leather embossed label.